Feeling inspired by the latest trends? Our new styles include the macrame detail top, simplistic & stylish white jeans , suedette dress with embroidery detail. Accessorise your style with a gorgeous new handbag from our bag shop . Shop the trends & inspire with style! The tie front top is a new take on the traditional t-shirt. A lightweight & versatile style, it's the perfect addition to your collection. This sport-lux inspired piece is versatile & available in a variety of colours. The embellished neckline means you can keep jewellery minimal & still stand out in style. 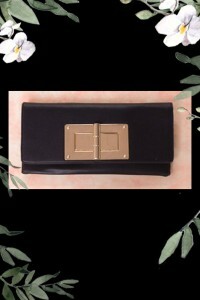 The clutch handbag with oversized closure is available in black & beige, why not treat yourself to both! The metallic print bag also features diamante embellishment. A great piece for day to evening with enough room for all your essentials. 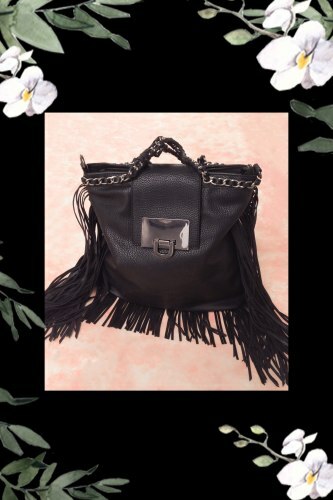 The fringed handbag has detailed finishing & buckle closure. It's stylish & big enough to fit all your essentials.